Pfc. 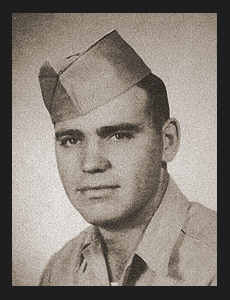 Billie Joe Landrum, son of Mr. and Mrs. Clyde Landrum, graduated from Weaver High School. Entered Army in Feb., 1944, trained in Lubbock, Sheppard Field, Texas, Enid, Ft. Sill, Altus, Okla., and Madison, Wis.; was discharged in Nov., 1945.